In the rap game, there are artists who take an unexpected leave of absence for 1 or 2 reasons. Either they fell off or got caught up in the system, in the case of Brooklyn born Jeezy Mula, he's away on what we'll call an extended vacation. Dropping his single "Get Back" in early 2017, he's doing a special re-release of the viral hit and music video. He's making sure the streets know that he has no intentions of going anywhere. When it comes to his love for Hip-Hop and the art of the hustle, Jezzy Mula is all in. Expected to be back on the scene and home from prison in 2018 after catching bank fraud related charges, Jeezy Mula is influencing Hip-Hop the way characters such as Nino Brown and Money Mitch did on the 90's. 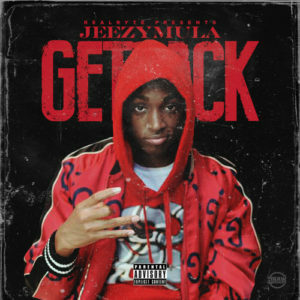 Jeezy Mula's lifestyle has assisted him in gathering the support of the NYC Hip-Hop scene and has lead to meetings of signing with Meek Mill who is also now behind bars. The moral fiber of what Jeezy Mula represents is what sets fashion trends, the language, vacation destinations, and what the masses want to become. Knowing the importance of fan loyalty and creating great music is a lesson he's learned from the greatest to ever rise from the ashes of incarceration. With the recent nuptials of Gucci Mane who set the prime example for how to keep your fans wanting more while you are away, it's only fitting that Jeezy Mula follow the same blue print. Drawing inspiration from the likes of Meek Mill, this young talent has made a splash on the New York Hip-Hop scene and plans to keep flooding the streets with his presence inside and outside the walls of confinement.